One of the regular activities of our network are meetings where PD Centre representatives get to know each other, exchange ideas and work together on issues of common concern. The meetings are organized by the University of Education Freiburg. Five meetings were held to date. Below you find more details on meetings’ discussions. The meeting was organized and hosted by the Bulgarian Academy of Science, November 28-29. During the fruitful meeting, in which 27 representatives of 15 STEM PD centres took part, constructive ideas for the future of the network were developed. The discussed plan included a drafting of new and innovative PD concepts dealing with timely topics such as supporting girls in taking up careers in STEM areas and other societal challenges connected to STEM subjects. Moreover, members want to follow up on the idea of ensuring quality in STEM professional development, through different measures such as the establishment of quality standards, through peer assessment within the network or through a quality mark. These options are all based on the guidelines for PD quality and evaluation methods, which have been developed in the Erasmus+ funded project of the network STEM PD Net. The 7th network meeting was held in Madrid, November 27-29, hosted by the Spanish National Institute for Educational Technologies and Teacher Training (INTEF), part of the Ministry of Education, Culture and Sport. During the meeting, amongst others, representatives of the different countries involved in the network and its connected project STEM PD Net discussed the question “What is meant by talking about STEM Professional Development?”. In particular: does the ‘STEM’ in STEM PD represent a singular approach where STEM itself is a discipline or the individual STEM subjects or some sort of blended approach? The discussion opened a broad spectrum of understandings and approaches: from a strong tradition of teaching the STEM subjects separately to most recent approaches of the need of a set of STEM skills that might offers students more opportunities in the future employment market. Further, the effects and consequences for teacher PD in STEM have been discussed. Also Dace Namsone, Head of the Multidisciplinary Center for Innovations in Education at University of Latvia, gave interesting insights in one of the long term professional development models the centre uses in practice with teachers. As a joint activity a guided visit around the Prado Museum was offered that focused on its most valued paintings. The sixth network meeting was held in Gothenburg, May 5-6 2017, lunch to lunch. The meeting was hosted by the Swedish National Centre for Mathematics Education (University of Gothenburg). The first half day focused policy issues, starting with a report from a learning event within the STEM-EU-NET-project, which took place in Spain in March 2017. This event gave important insights into the relationship between the network and the policy level. During the meeting a first draft of a policy briefing was presented, dealing with the possibilities offered by the network to policy makers. Questions related to this issue were discussed in groups and shared in the whole group. In the second half day, the meeting focused ongoing work on how to address the need of diverse learners in STEM classes. The participants were also updated on current status of work with the questionnaire that has been distributed to PD-centres, covering structure, missions, goals and activities of these centres. The network members who are also partners in the STEM-PD-NET-project started the meeting one day earlier, discussing more project specific issues. The fifth network meeting took place in course of the conference ‘Educating the Educators II – International approaches to scaling up professional development in maths and science education’. After founding the PD centres network two years ago at the first ´Educating the Educators´ conference, this fifth meeting in connection with the second ETE conference was a further milestone successfully reached: starting with 14 centres at the first meeting the network now consists of around 30 STEM PD Centres and other organisations with similar aims, role and focus like education institutes, education authorities or Ministries of Education from 12 European countries. Also, the work of the network received funding through a new Erasmus+ project (called STEM PD Net), which will host the further meetings and which serves to further promote collaboration of PD Centres and their activities on a European level. The fifth meeting therefore focused on the future collaboration between the network and the project. Also, the current highly relevant topic of interculturality and how to jointly face the accompanied challenges towards improving STEM education in Europe was discussed. During a policy seminar about “Scaling-up STEM teacher professional development: Overcoming challenges through a research-policy-practice dialogue” the network presented its work and experiences to policy makers from different countries and discussed together ways to further strengthen the voice of practice at all levels. During the fourth meeting practice examples of PD courses in different countries were presented to give all centres the possibility to get to know different foci and approaches as well as to share practices and experiences. Following this, quality criteria for PD in practice and in theory were presented, discussed and during workshops further developed. Central question was: What does the network envision for high-quality PD? This serves as a further basis to frame the network´s aims and activities. In addition, the network worked on its participation at the Policy Seminar Scaling-up STEM Teacher Professional Development — A research-policy-practice dialogue which will take place in course of the conference ‘Educating the Educators II – International approaches to scaling up professional development in maths and science education’. Here, the first high-level presentation of the new European PD Centre network to policy makers from around Europe will be held. The main mission of the third meeting was the continuation and stabilization of the network. Therefore, the meeting aimed on further concretizing objectives and aims as well as guidelines of the evolving network. In addition, possibilities of cooperation of the PD centres and ways to establish a European Network of PD centres were discussed. 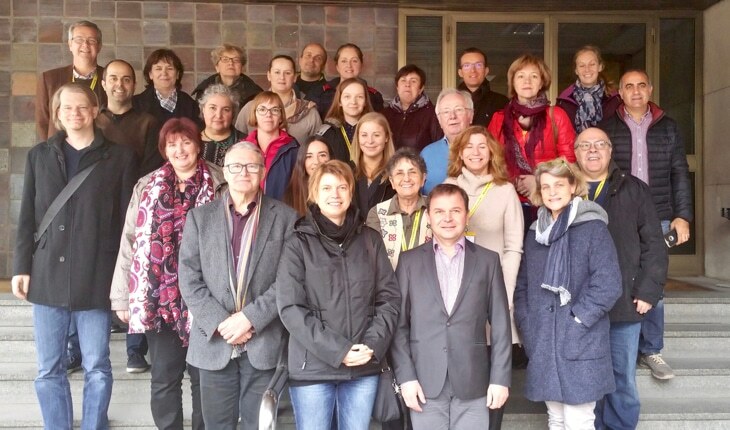 The second meeting of European Professional Development Centres in maths and science education, organised by the University of Education Freiburg, took place 6-7 May 2015 in Vilnius, Lithuania. 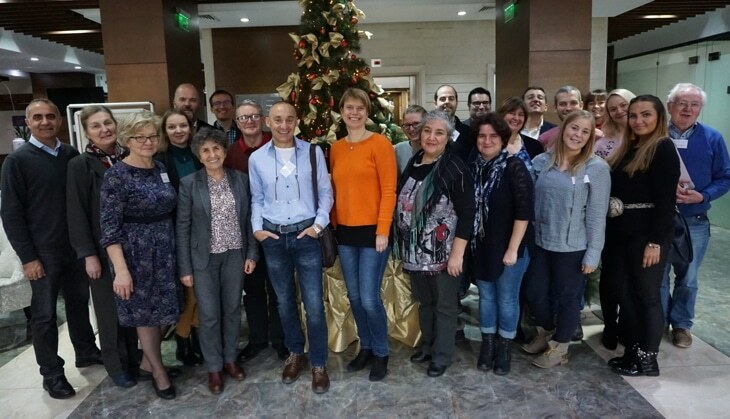 Around 20 representatives of maths/science professional development centres and other organisations with similar aims like Ministries of Education from 12 European countries attended the meeting (see meeting schedule). The meeting of the evolving professional development centres network facilitated learning about each other’s activities and experiences, a discussion of the challenges and successes of the centres as well as the identification of areas for future knowledge exchange and collaboration. For more information please see the short report about the 2nd meeting. In course of the conference “Educating the educators – Conference on international approaches to scaling-up professional development in maths and science education” (hosted by the European project mascil (mathematics and science for life!) 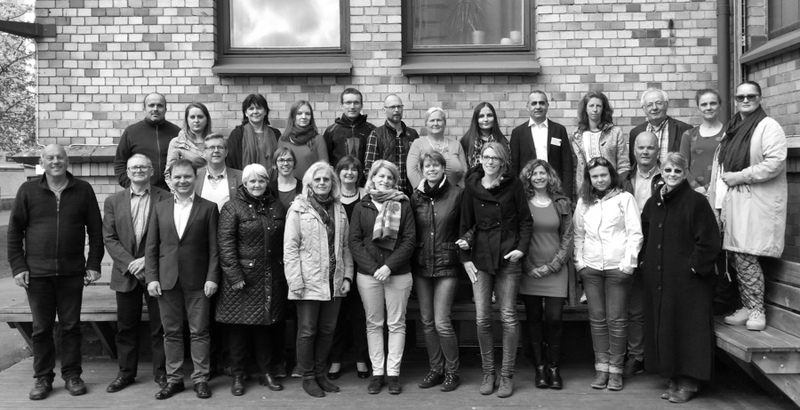 coordinated at the University of Education Freiburg, and the DZLM (German Centre for Mathematics Teacher Education, founded by the Deutsche Telekom Foundation) a meeting of European Professional Development centres involved in math and science education took place the first time. Aim of this meeting was to establish and support a European network of these centres. With their attendance, the conference organisers brought together an increasingly important group of actors. The relevance of this group for issues relating to teacher professional development becomes apparent through an increasing number of these specialised centres which have been set up across Europe in recent years. Main concern of the meeting was to provide a platform for sharing experiences between the centres who all have similar aims and agendas of substantially improving maths and science education as it happens day-to-day in schools, by investing in teacher professional development. The meeting enabled an exchange about the challenges and opportunities such institutions are met with. The circle of participants discussed appropriate strategies to promote professional development of teachers: How to make these activities sustainable? Which are major aspects that need to be considered when cooperating with the educational administrations? And how can these centres benefit from the work of each other? For more information please see the opening presentation of Prof. Dr Günter Törner from the German Centre for Mathematics Teacher Education.